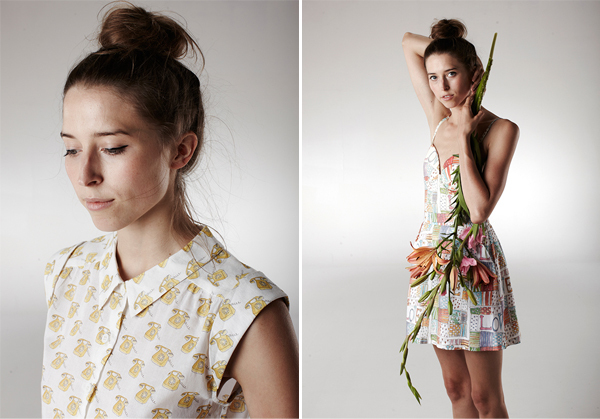 I can't get enough of Family Affairs, a clothing line created by mother-daughter duo, Nina and Kaya Egli. 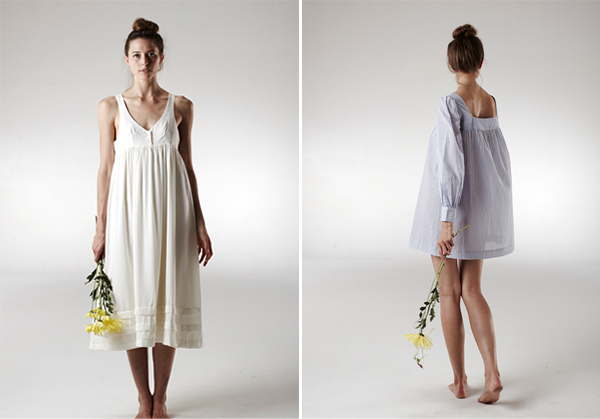 Their Spring/Summer 2013 collection, "Night Train to Cassis," is delightfully charming. I'm eyeing the Cafe Zoe dress with the yellow vintage telephones and sailor collar (above). Here's how Family Affairs sets the scene: "Wearing your carefree Cafe Zoe dress, raspberries and a bottle of wine in your knapsack, you ride your bike around a crystal clear mountain lake with your best friend from childhood, chatting away the whole time." Perfect day, right? So happy I found the collection through Calivintage. This is the kind of stuff I go to during my "it's summer in Texas, let's pretend I live on a little farm somewhere" look. And listen to Taylor Swift and Rascal Flatts. Definitely charming! I would enjoy that life. All these pieces are seriously lovely! I definitely need to add some airy spring dresses to my wardrobe, and these certainly fit the bill!